From Beast Kingdom comes your favorite Toy Story characters in the Mini Egg Attack Series mini-figure format! 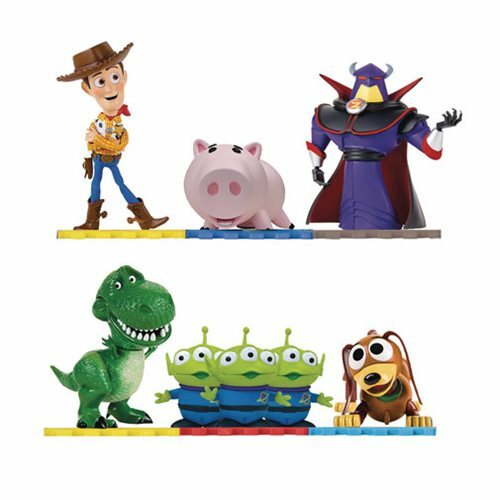 The Toy Story Mini Egg Attack Series 2 MEA-002 Mini-Figure 6-Pack Set - Previews Exclusive includes the following characters: Sheriff Woody, Rex, Hamm, Slinky Dog, Aliens and Emperor Zurg. Each detailed adorable figure has been carefully sculpted and painted. Each character's special puzzle-mat platform lets you arrange the figures any way you want.